The freehold of 2 Holly House Queensway has been sold to Swim Works. The conversion of a traditional 1960 industrial unit to a state of the art swimming facility. A new swimming centre has been built in Leamington to provide lessons and coaching for anyone from babies to senior citizens. 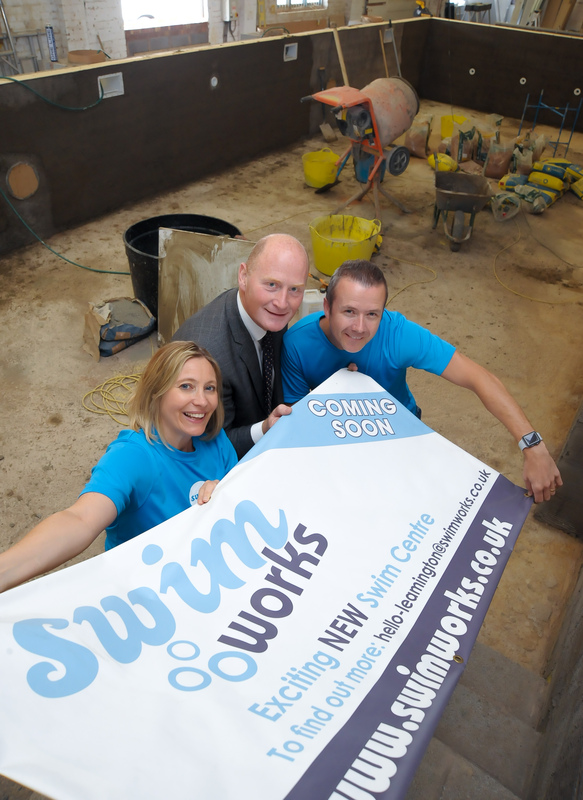 The £750,000 centre has been built by Swim Works, a sister company of Little Splashers, which has provided swimming lessons in Warwick and Leamington for the last ten years. Christian Wilson and his wife Joanne, who set up Little Splashers ten years ago, opened the first Swim Works centre in Rugby three years back, and went on to win the Small Business People of the Year award with FM Radio for 2015 and 2016. “We used to hire swimming pools to run our classes but for a variety of reasons we decided to open our own centres so that we could control the entire operation – right down to what water temperature to use. We use virtually no chemicals and have a high filtration system so it’s almost like swimming in fresh water – ideal for those suffering from allergies, eczema, asthma and sensitive skin. “We have ten years’ experience of providing swimming lessons and it is our real passion and love. It took us eight months to find the right place in Leamington and ehB Commercial, the Leamington-based commercial property consultants, were incredibly helpful in looking for property for us, and then finding Holly House in Queensway and negotiating the deal,” said Christian. Simon Hain, a director of ehB, said the pool at will measure 12 metres by 5 metres, an ideal size for a tranquil environment for those who can be overwhelmed by large pools with lots of swimmers and noise. “The couple have been giving lessons to hundreds of babies, children and adults every week in Rugby and are confident of the high demand in Leamington and Warwick. They have been painstaking in their quest to satisfy that demand, even involving prospective customers in the planning of the programme of classes,” said Mr Hain. The pool, which will also be used for aqua therapy, is now open.